The roar was deafening as the gladiator gazed upon the crowd seated in the arena. He raised his Roman Gladiator LARP Short Sword with a defiant smile. This fantasy foam sword also makes a splendid addition to any cosplay ensemble. 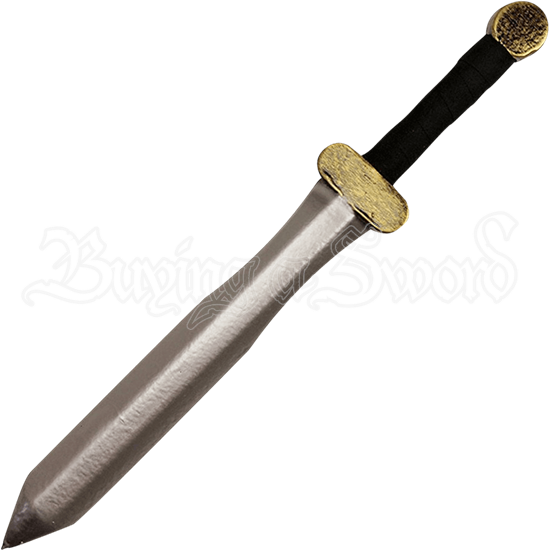 Crafted from dense latex foam with a unique fiberglass fusion core, this classical LARP short sword is lightweight and extremely flexible. The durable latex construction with painted details provides a realistic look for any cosplay or theatrical production. The silver blade narrows slightly near the gold hilt. 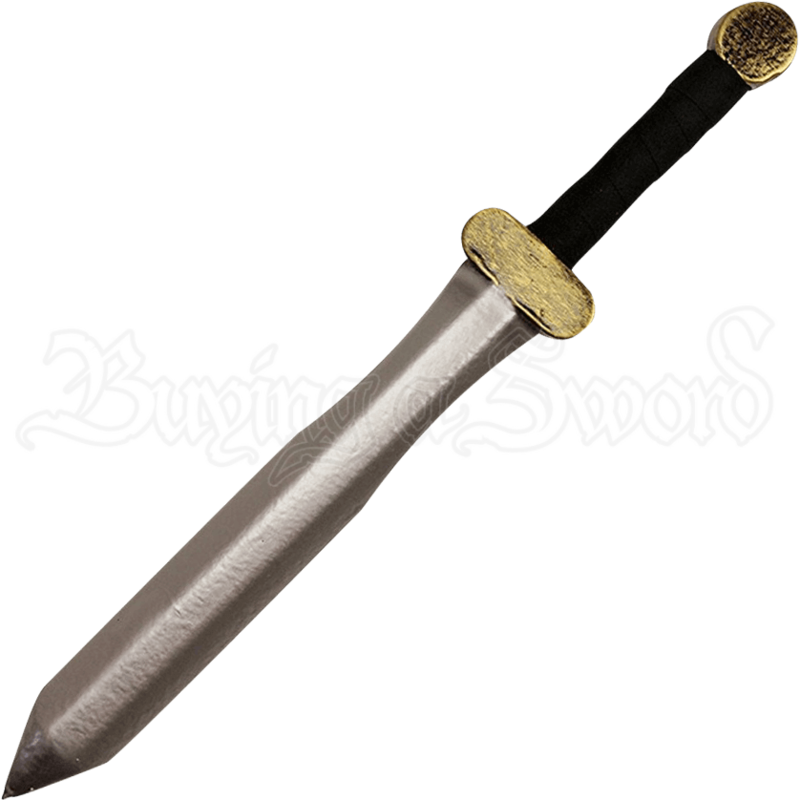 With a cloth wrapped handle for a secure and comfortable grip, this Roman Gladiator LARP Short Sword is suitable for light sparring.